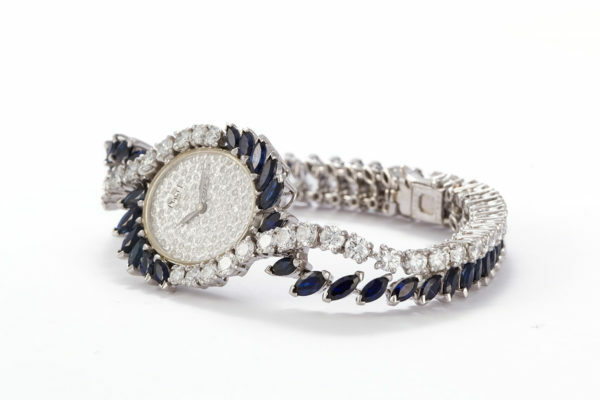 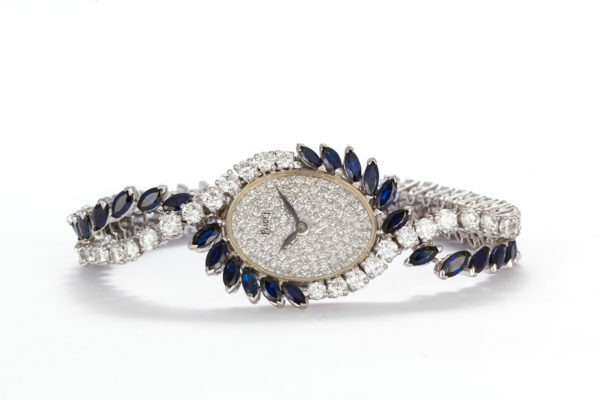 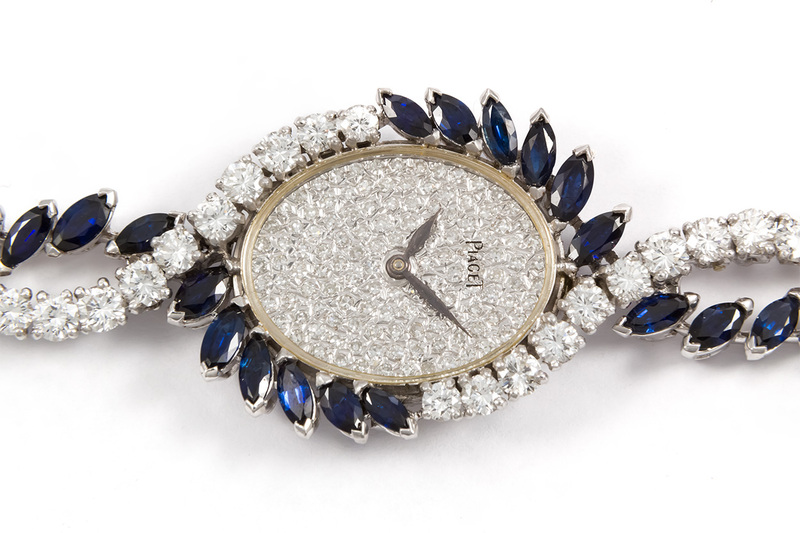 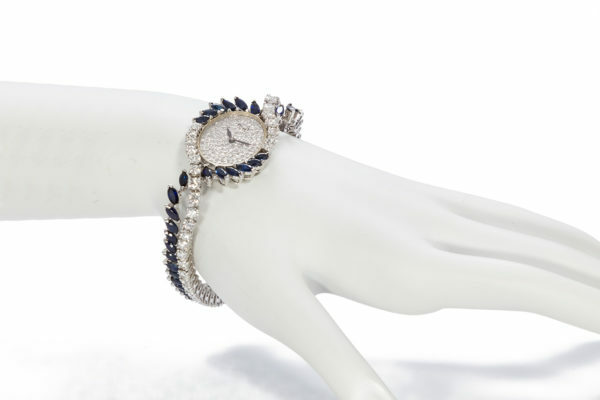 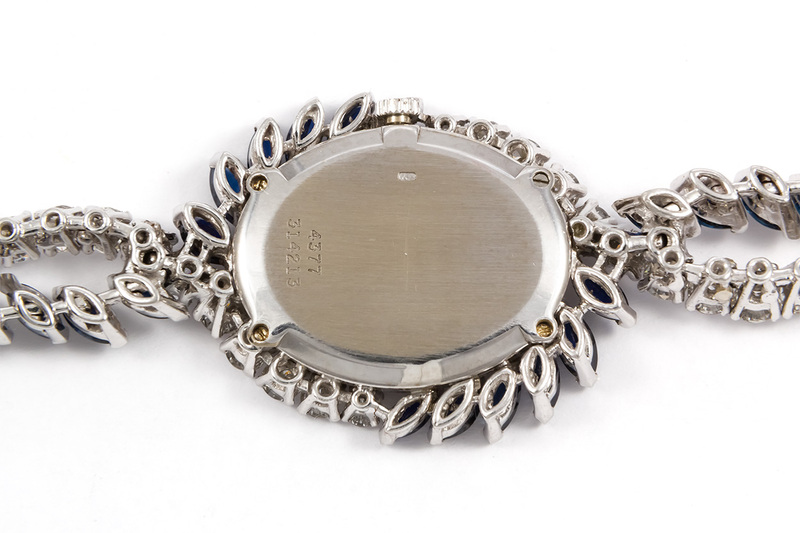 Ideal Luxury is pleased to offer this Vintage 1950’s Piaget Platinum Diamond & Sapphire Ladies Watch. 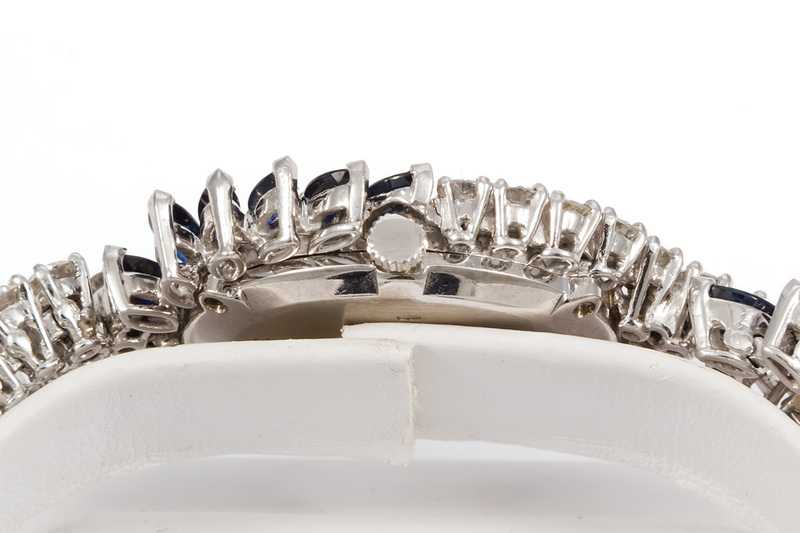 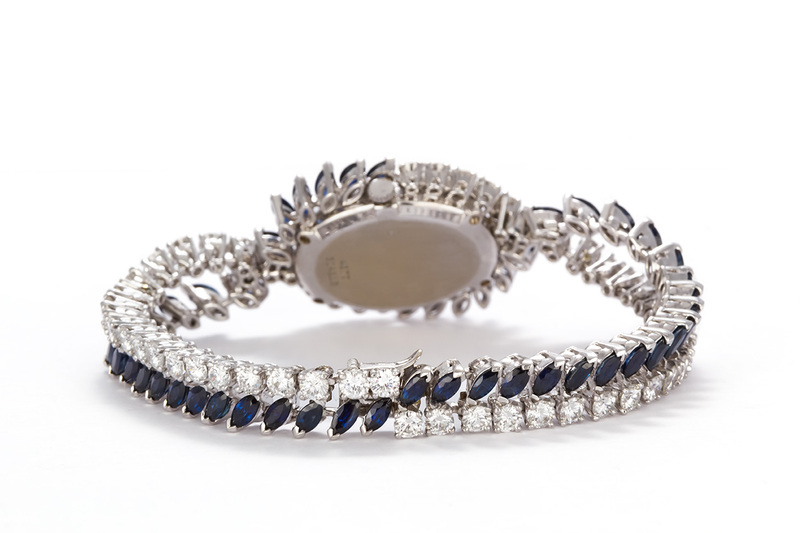 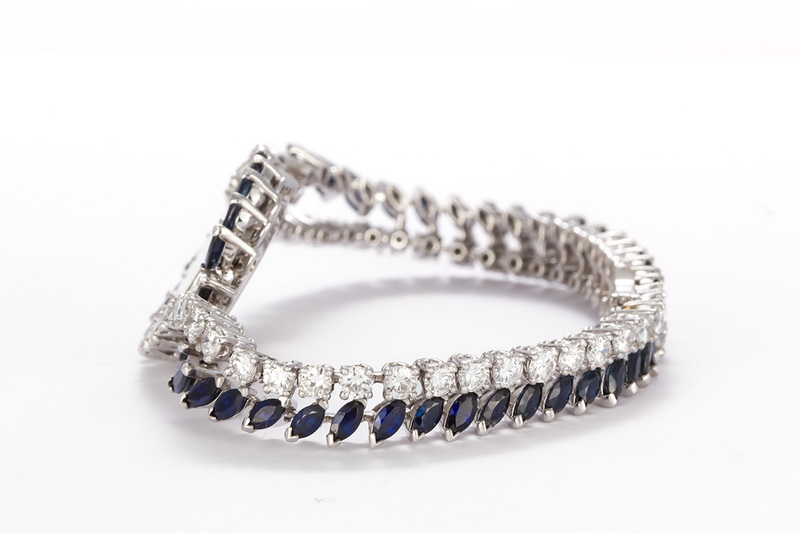 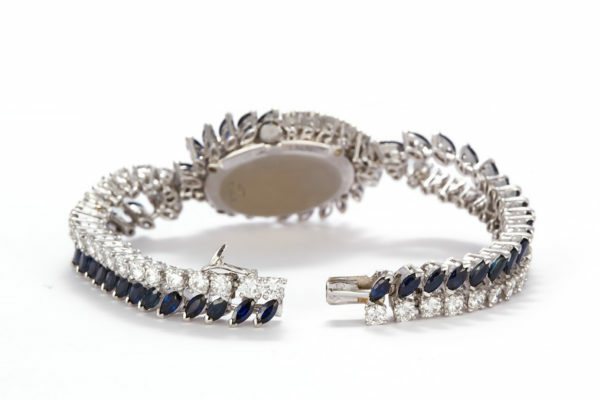 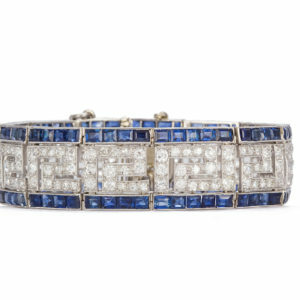 This stunning watch features a tennis bracelet style design set with and estimated 6.25ctw D-F/VS1-VS2 Round Brilliant Cut Diamonds and 6.00ctw marquee cut blue sapphires surrounding a breath taking diamond pave dial. 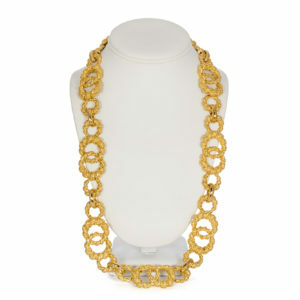 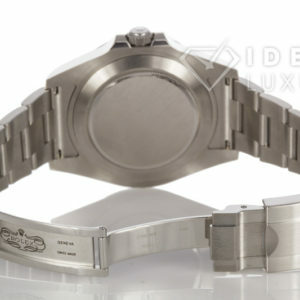 It will fit up to a 6.25 inch wrist. 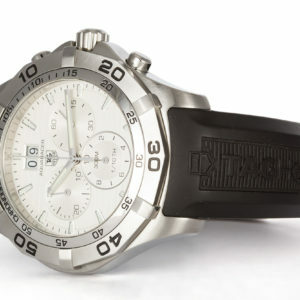 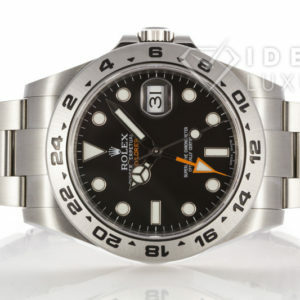 Please note the watch has been converted to a Swiss ETA Quartz Movement, no winding necessary. 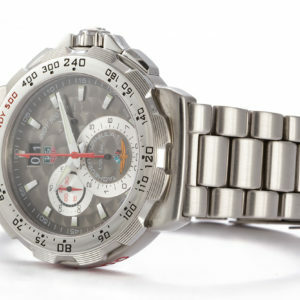 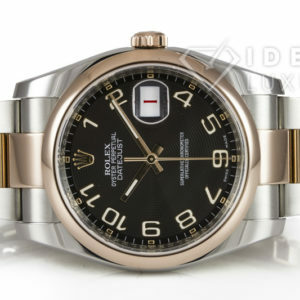 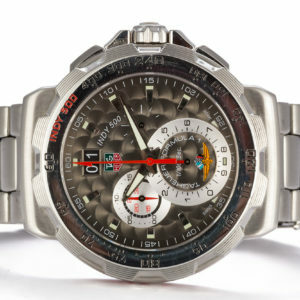 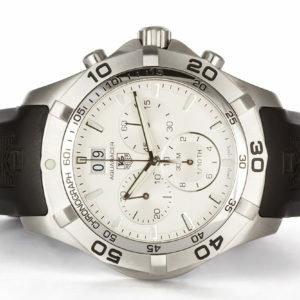 It is in very good condition with very few signs of wear for a watch of this age. 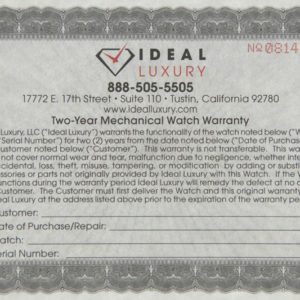 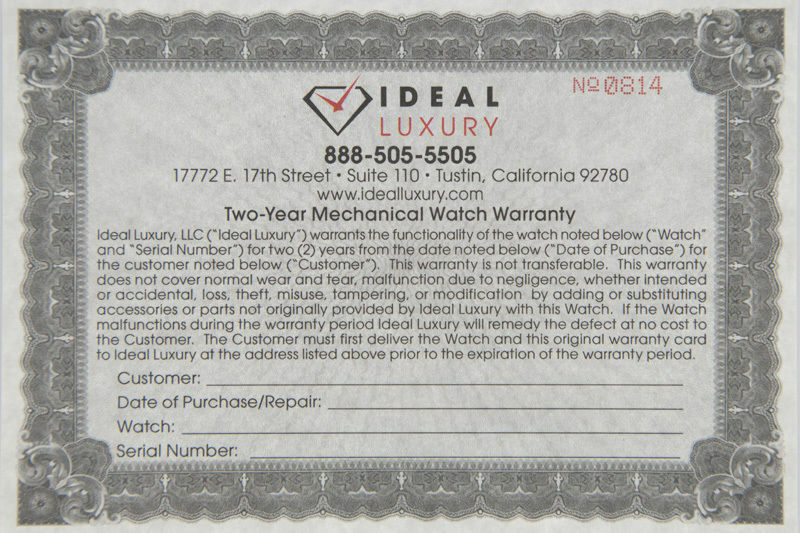 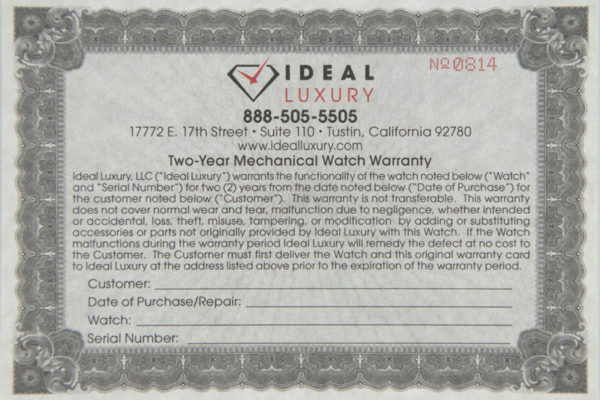 It has been certified by our master watchmaker and comes with our 2 year mechanical warranty, a photo of which is included above.